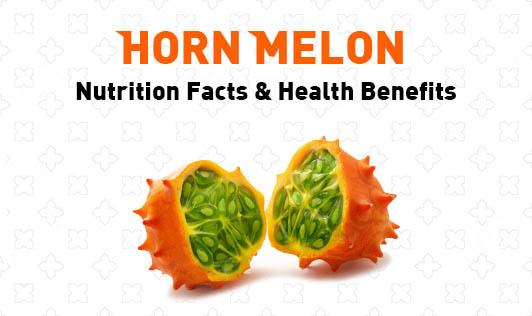 Horned melon is rich in a-tocopherol and y-tocopherol, the sub-categories of vitamin E. Both of these have several health advantages which contribute to healthy skin and good functioning of the heart. The fruit helps prevent dry skin and many skin allergies. This fruit is rich in beta carotene, popularly known as vitamin A which helps in bone strengthening and improving vision. The juicy melon is rich in lycopene and lutein which contributes to repair and safeguard of DNA, therefore decreasing the ageing procedure. This fruit is low in fats (1.26 g/100 g), high in moisture content and hence good for people aiming for weight loss. The green jelly-like flesh can be scooped out of the spiny fruit shell and consumed with a little sugar. The pulp can also be used as a vinegar substitue in many dishes. Unfortunately, this fruit is not available in India. But if you find one, don’t forget to grab it.